I can’t put together a cohesive post today, so you are getting some randomnesss. That’s what a few weird sleep nights in a row gets you. 2) Just so you know, because I know you were wondering, my knitting is mostly under control, in that, so far, I’m caught up with all my knit-a-longs AND I’ve even gotten some other knitting done. I have another KAL to start today, so check in with me next week to see how I’m doing. I’m on the crown decreases and slightly worried I’ll run out of yarn, which I shouldn’t given the yardage requirements. 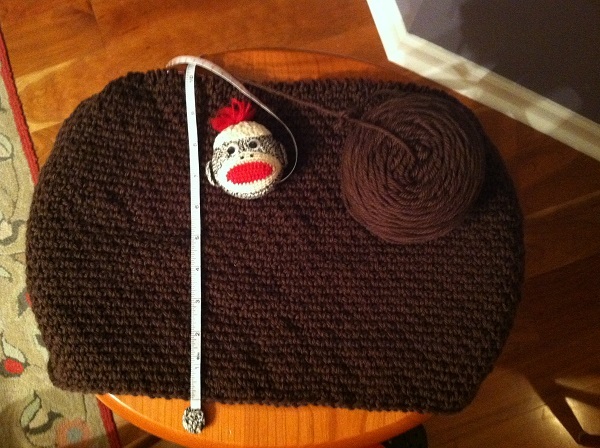 But my measuring may be off….you know how sock monkeys can be. 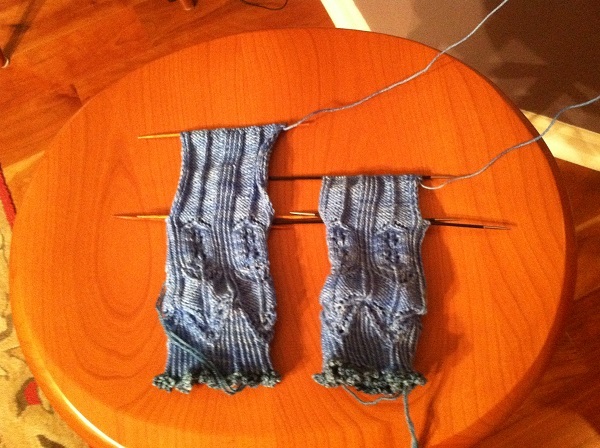 I’m not showing you my Downton Abbey KAL project because it virtually looks the same, but with a few more rows. So that would be boring for you. 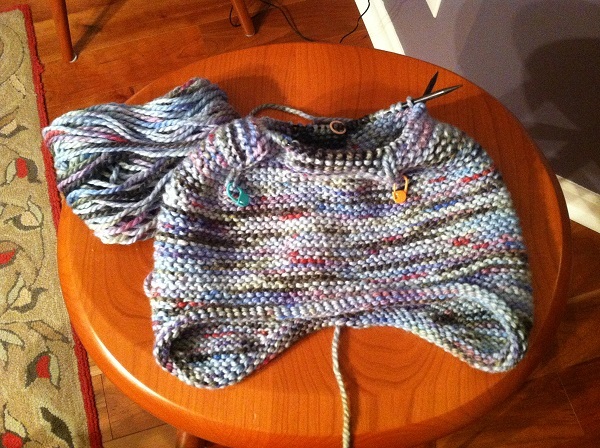 3) I really enjoy listening to the Knitting Pipeline podcast. The host, Paula, is great and one of the segments is “Nature Notes” where she talks about all the wonderful things that happen in her backyard. Including seeing owls and watching them stalk and catch their dinner. I’ve been dying to see an owl around here. I think they are so cool looking and they intrigue me. We don’t have many trees that are very close to our house, so I haven’t seen any. Today at 4:43am, while laying there hoping to fall back asleep, I heard one. It hoo-hoo-hoo-hoooooed once. I jumped out of bed to look out the window. No idea what I thought I would see since it was dark and there are no trees near our bedroom window, but I think it was on our roof. And now I know there is one here. Somewhere. By the way, at age 2-1/2, politeness abounds with these two lately. I will savor it while it lasts. 5) I don’t like football and will only have the Super Bowl turned on to watch commercials and eat super bowl food. Don’t ask me what super bowl food we will be having because I haven’t decided yet. And don’t ask me why I have to have the game on in order to eat it. Plus, I will be knitting. Like you didn’t know. Posted in Uncategorized and tagged cooking class, doodlebugs, garter ear flap hat, rose tweed cardigan, super bowl, through the loops kal 2014 on January 31, 2014 by lizytish. 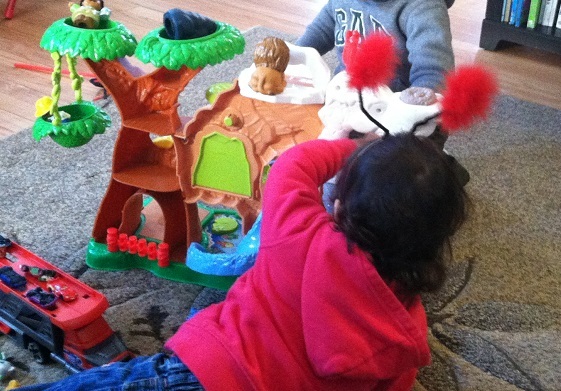 Nice gift – it does look like fun! 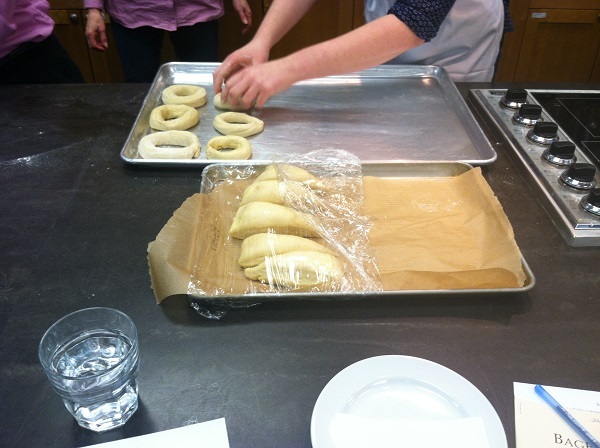 My B-I-L makes soft pretzels at Christmastime – yummy. Knitting looks good. Pretty yarn for the hat. 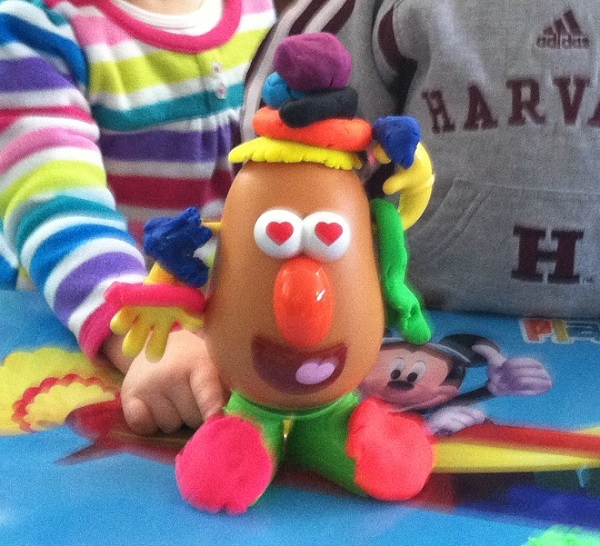 Doodlebugs – adorable.